Often times I hear people refer places they fish as “Gods Country”. Now I don’t know about all that, and this isn’t the place to wax on about theology. What I do know is that there are places and people who make you stop and think that there just might be something to that concept. 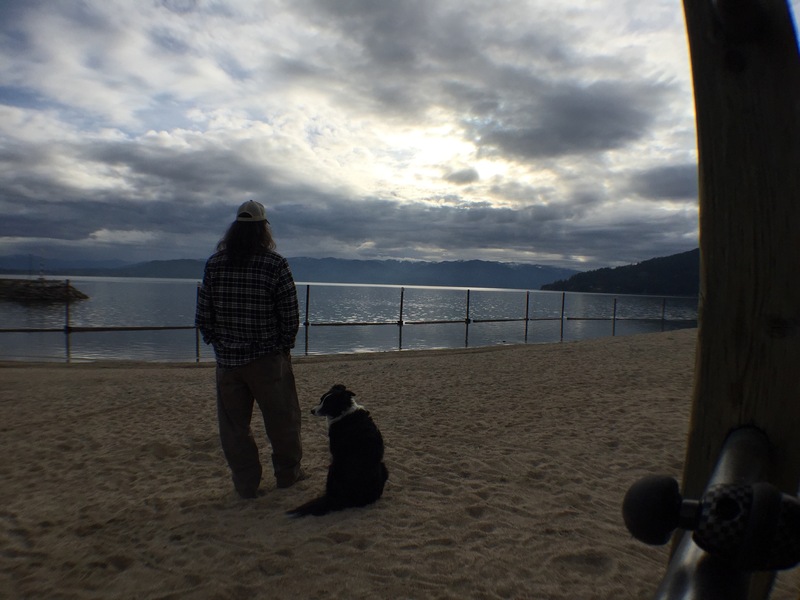 Driving through the night and only sleeping for a few hours at a noisy rest stop I found myself standing on the shores of a lake in the panhandle of Idaho thinking about the people who call this place home. “These are some of the luckiest people in the world.” I kept thinking to myself. I decided to look deeper into the place and know that people are their most raw and honest when they are together around food. You see the real people they are. Are these the quiet at the table clicking away on their phones types? Or is it the way appears when they don’t know you’re paying attention? So thanks to a couple handy little apps in the phone I found a small place called the Hoot Owl. This little hole in the wall looks like it has probably been here for a hundred years and has remained a mainstay because of something special about it. I was to learn in no short order I was correct. In the parking lot stood a variety of people meeting up and sharing stories as they entered. Each group was immediately greeted by staff and even joined the conversations that had started outside. Goes to show how important it is for your business to stay connected to its customers. This place was not going to disappoint me I could tell already. After grabbing a chair and grabbing a coffee I was greeted with the usual menu one could expect and decided to dive in. 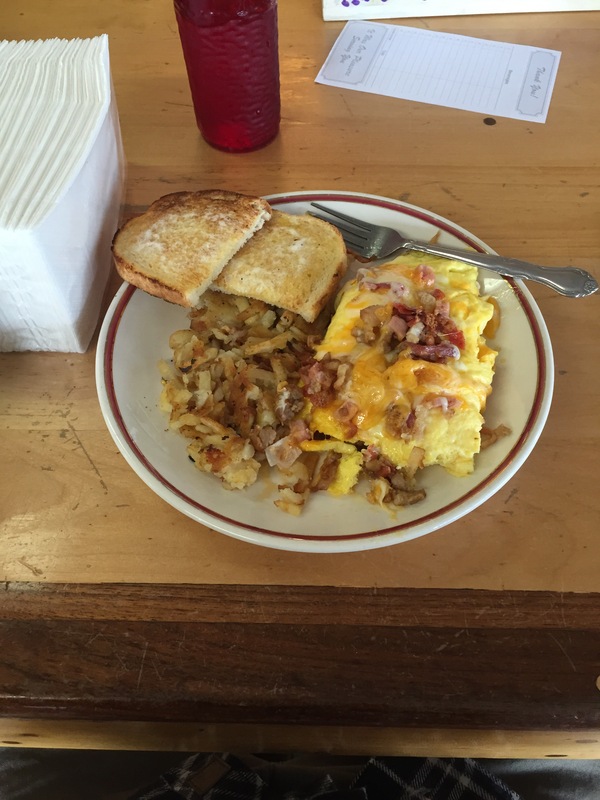 Home cooking comfort food is how this place gets down and the portions will not disappoint you. 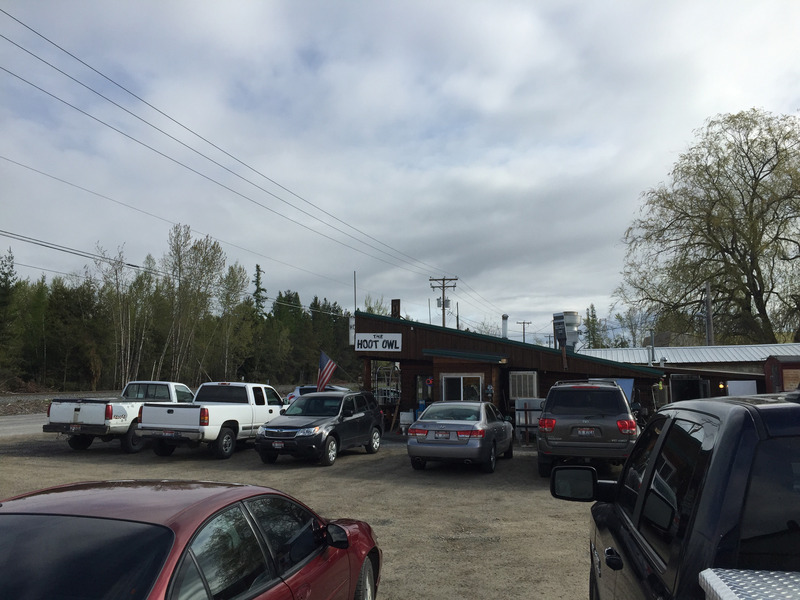 So when you’re looking for something to remind you of home and want to be treated to some great food, get down to the Hoot Owl in the Ponderay/Sandpoint area. It’s a bit rough around the edges, but the atmosphere will remind you what’s best about small communities like this: all are welcome and everyone is very gracious in their manner. The old time feel if the place will remind you of some time or place in your previous travels and the folks working there will greet you with a smile and engage you as if they’ve known you forever. Fueled up and ready for the day I grabbed the phone and started shooting messages around to some local people I met online to figure out what my best bet would be to get into a little fishing. Of course I was told there’s some really good people over at North 40 Outfitters I should talk to about that and so I headed that way. I heard they were having a demo day with Airflo and Echo, so again it appeared I was on the right track to meet up with some good people and learn some new things. From the outside of the store I could tell that there was going to be a lot to see inside this place due to the sheer size of the location. Getting into the fishing area an astute employee could tell I had questions even before I said something. I guess this books cover lends itself to that since I tend to stick out like a sore thumb with my long hair in a region like this. 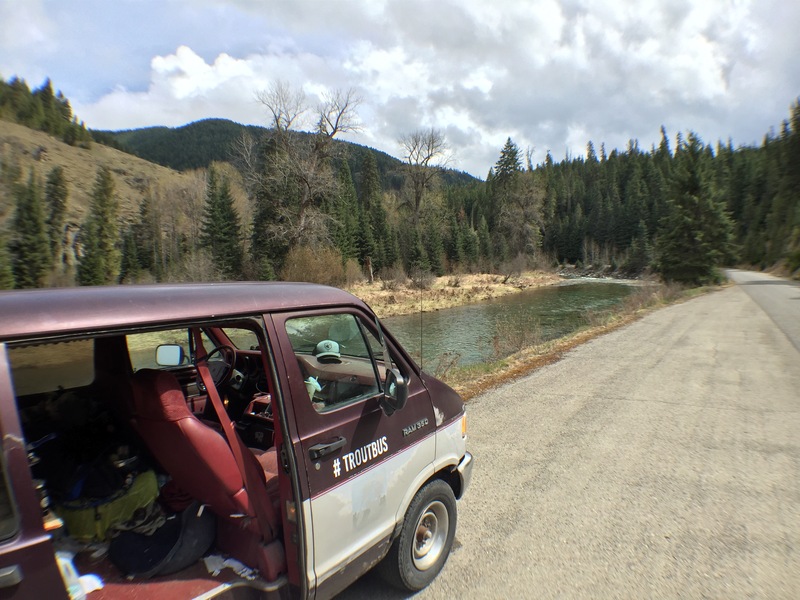 After getting some great data and the necessary license to fish, I hit the parking lot and started planning my route down to the North Fork of the Cour d’Alene or CdA as many refer to it. Before the bus could take off down the road I was approached by one of the employees who wanted to get some pics of the bus because he wants the owners to put something like it together for when they hold events and programs around Idaho. It also appears that H&H Outfitters will be working with this company soon as well, because most of the employees all love what they are producing out of their facility in Oregon. I learned that this company is an active partner with Trout Unlimited locally and regionally to support their programs. 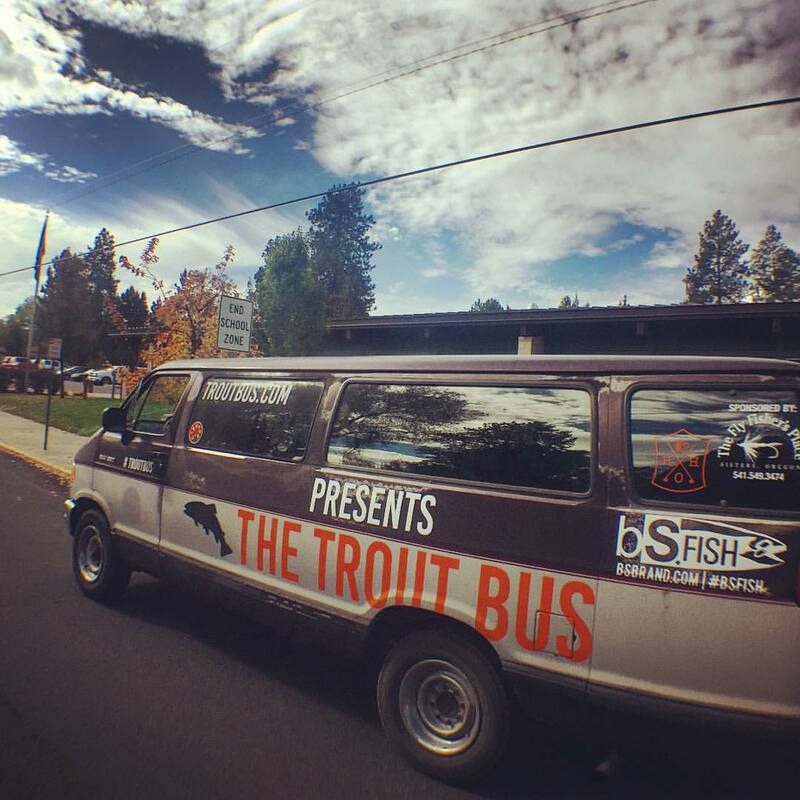 As a matter of fact, the previous evening they showed the F3T bundle and tonight they were going to show the IF4 films as part of a benefit to help raise awareness for their programs and work being done for Bull Trout in the region. After explaining what the bus was about and shooting a few photos, off I went to track down some West Slope Cutthroat. After driving for a couple hours and navigating my way via the tips provided by the folks at North 40, I ended up parking for a few to shoot some pictures, down a little coffee and let Danny grab some food and a hike. To say I was amazed at the condition I found this area would be an understatement. 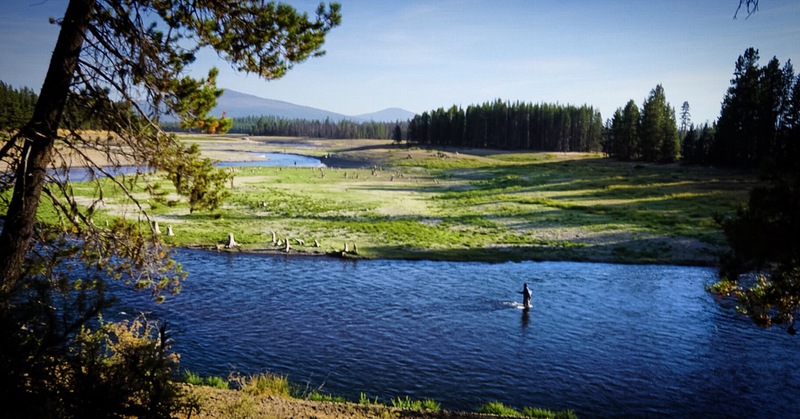 The water is clean and cold with a wide range of riparian habitat and mix of beautiful trees. “So what could possibly be wrong with this area that would need the help of Trout Unlimited ?” I thought. After some exploring I could see what the answer was. Apathy. Many of the dispersed areas found throughout this region contain litter and debris from years of use even though there are signs posted everywhere to pack out your trash. Disappointed but not discouraged I decided to push on and look for those elusive critters we tempt with a fly. I found this little gem of a spot tucked back off the road where a couple vehicles were parked and decided to see what was going on. A few people were standing at the bank staring at the water and talking, so I wandered over to introduce myself and see how things were going. The weather had been a mix of light rain and sun most of the day and it started to warm up again. These conditions usually provide for a hatch of some type, and my senses started to ping when all of a sudden BWO’s started popping off and become thick through the stretch of water. Not suprisingly, the fish knew it was coming and started rising everywhere. I asked if I could step in below the anglers to try my luck and they graciously allowed me to. Waders on, Blackstrap Tube in place, and the trusty Echo Glass 5wt in hand, I bonded over a few logs and fished the bottom of this pool hoping my bug identification skills were correct. I figured that with this river being slow and clear these fish were going to need the soft presentation and light tippet this rod lays out softly and smoothly. A little 5x and size 16-18 tied on, I was ready to try my luck. 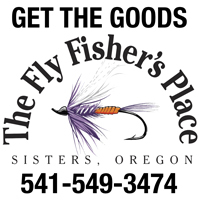 Now I may not be the best caster on the planet, but I can get the bug where it needs to be and I soon discovered I had picked the right stuff to throw thanks to the insight of Jeff Perin of The Fly Fisher’s Place in Sisters who helped me pack up a box of flies for this road trip. Thanks Jeff, as usual your rich history in the sport and knowledge of Western hatches never ceases to amaze me. After fishing for an hour or so I thought it best to count myself lucky with the 6 fish landed and headed back north to make it to the IF4 showing and to talk with the local Panhandle Trout Unlimited Chapter people about their program tonight. Reg from the Chapter introduced me to some of the board members and we started talking about how the fishing was going and then turned to their efforts regarding Bull Trout. A couple beers later I learned a lot about the locations and some of the issues they are facing in their efforts for this amazing fish. 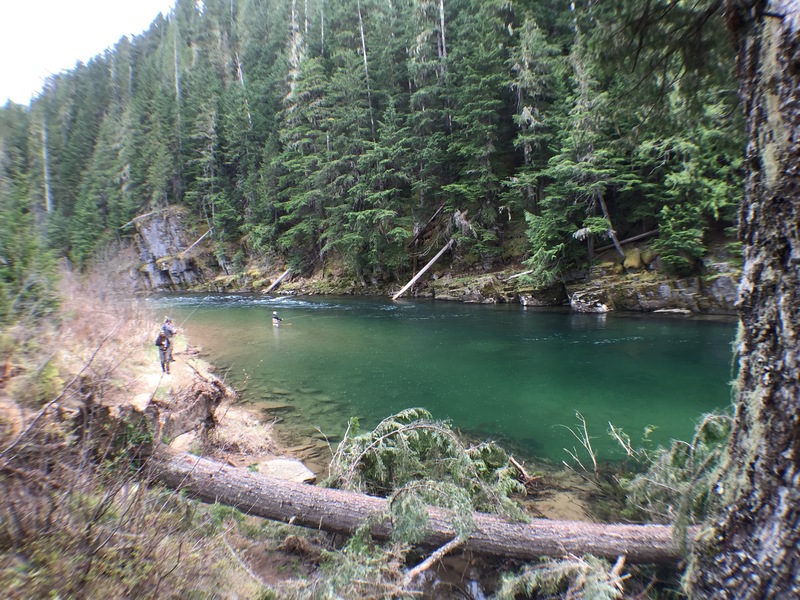 There are issues with disconnection of these waterways like most places in the PNW and here they are impacting this species to the degree that they are becoming increasingly threatened. 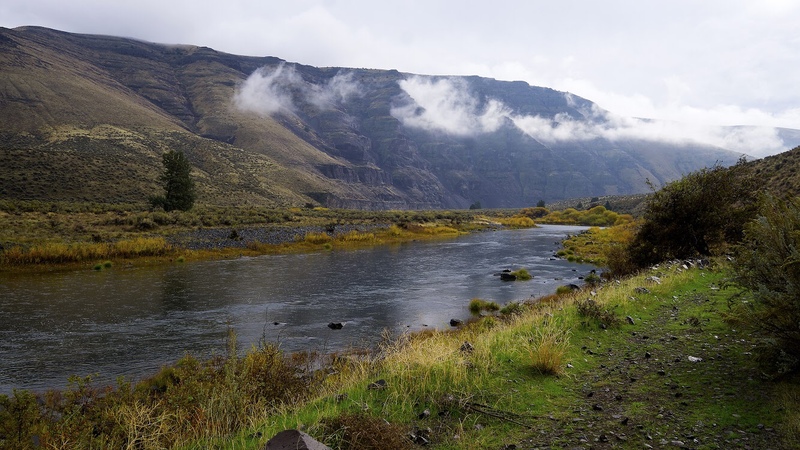 To that end, local groups including TU are working with Idaho Fish and Wildlife on a Recovery Plan to help find ways to prevent this wonderful fish from being list entirely in the region. There are many groups working collaboratively to come to mutually beneficial results for Bull Trout in this region, for which the volunteers associated with this Chapter can take pride in. 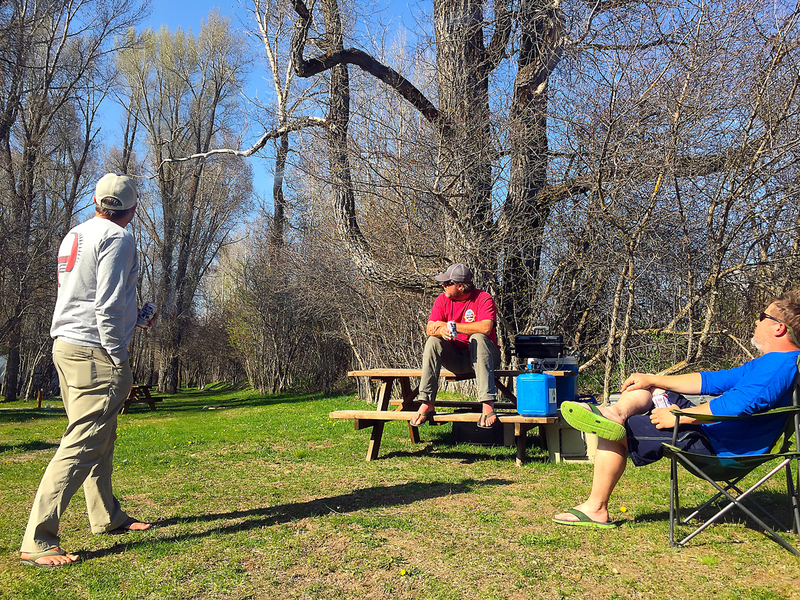 The common thread I have always found with Trout Unlimited groups is that they listen and help create solutions by finding middle ground where all stakeholders can come away feeling they did something good, and got some or most of their needs met. Please find the time to learn more about your local fisheries and resource issues. Then find a way to help. All it takes is skittle if your time and expertise. Every little bit counts, and your support brings your community closer together. Next post Day 2 and 3 – HELOOO Montana!